Volupté silver compact, probably early twentieth century. 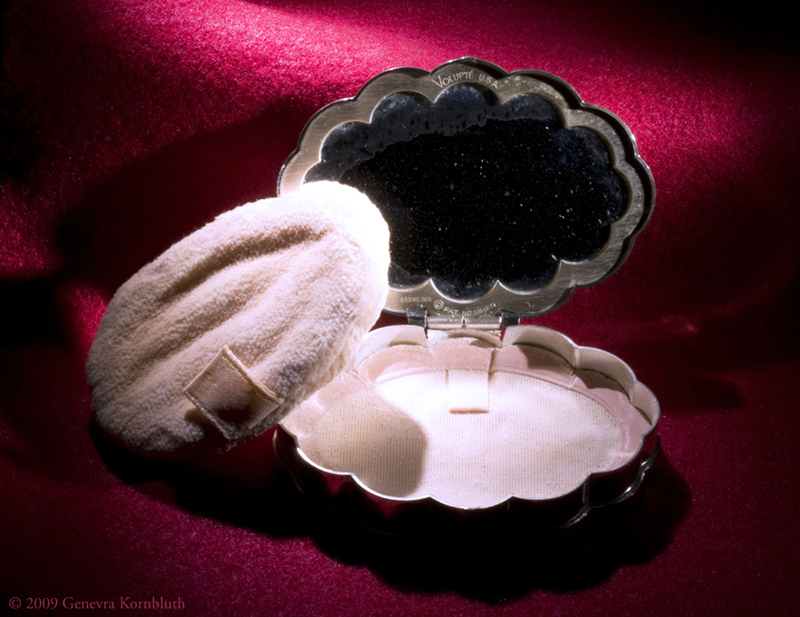 Images to the left and below document the completeness of the ensemble (case, powder net, and powder puff), the inscriptions, the damage to the mirror, and the cover engraved with an owner's initials. Private collection.